Crab, this is one kind of see food. HS Coad-3061400. 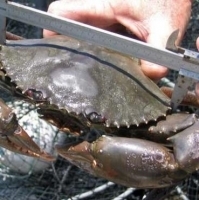 There are many kinds and size female and male Crab cultivate our country as like Red crab Mud crab etc. 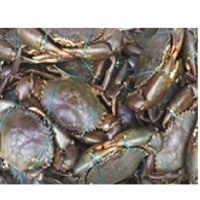 Size wise price male crab are 450g up $ 25 per kg. 350g up $ 23 per kg. 250g up $ 21 per kg. 205g up $ 20 per kg. 150g up $ 19 per kg. 120g up $ 18 per kg. 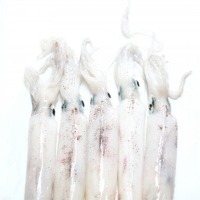 90g up $ 17 per kg, and size wise price female crab are 5F (190g) up $23 per kg. 4F (150g) up $ 21 per kg. 3F (120g) up $19 per kg. 2F (90g) up $ 17 per kg. Shipping Term Air. Payment Term L/C or T/T. Origin of Bangladesh. Minimum order quantity should be 1000 kg or 1 MT. Packaging is 16 kg per carton. Short on time? Let live-crab sellers contact you. I give u a live crab packing with quality by Indian law export. Crab between 4-6 inchs of head. 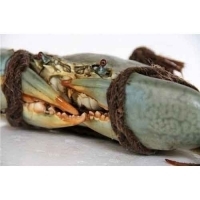 We are pleased as follows: Product: live mud crabs Grades: 2.) b 100 grams plus Packing: 17kg net wt therma-pole cartons (packed 2 hours before shipment), gross weight is 18kg, tare weight is 1kg. Load port: jinnah airport, karachi, pakistan Available quantity: 400~500 kilograms per day (dec~april), & 2, 500~3000 kg per day (april~nov) Origin: pakistan Payment terms: bank escrow or 50% tt deposit and balance upon email/fax of airline issued airway bill. Lead time: min 48~72 hours maximum upon receipt of payment. Prices: to be quoted upon receipt of firm inquiry on cfr basis via royal thai airways, cathy pacific or emirates airlines. Quality assurance: pre shipment inspection by sgs. We look forward to receive your inquiries & for immediate response contact 92335-3144100. Packing: 17kg net wt therma-pole cartons (packed 2 hours before shipment), gross weight is 18kg, tare weight is 1kg. •Minimum Order Quantity 500 Kg. each shipment. 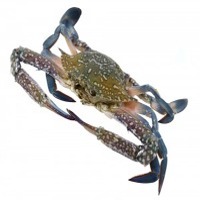 •Male Crab size: 100gm up, 200gm up, 500gm up. •Female Crab with & w/o egg size: 100gm. up, 220gm up. Thermocol Box, Seasonal Arrangement Extra, 15.5 Kg Gross + Arrangement weight, 15 Kg. Net. Global Seafood Trader Company Pvt. Ltd.
Live mud crabs. 150gr upto 500gr up. Live mud crab 1. Live mud crab both male & female 2. Live mud eel (swamp eel) cuchia cuchia 3. Dried shark's fin of half moon cut 4. Dried fishmaws of ocean cat fish, jew / croaker fish. Hope you will be interested to import your required products among the above. We shall be pleased upon you if you let us know your exact requirements for our best quotation.